After scoring three goals in each of their previous four home games Wigan Athletic returned to their prosaic style at the DW Stadium on Saturday. Gone was the invention from midfield and the rapid movement on and off the ball that unhinged the previous opponents. In its place was a ponderously slow build-up emanating from the lethargy of ten outfield players seemingly unable to create space for each other. A goalless draw against an Oldham team second from bottom was a hugely disappointing result for a Latics team seeking automatic promotion. The critics will say that Gary Caldwell got it wrong tactically, being outmaneuvered by his Oldham counterpart John Sheridan. Sheridan had his players stifle the Wigan midfield and the home team struggled as result. Others will say that it was not so much that Caldwell’s tactics were wrong, but that the players just did not perform, whether it be through complacency or sheer inability to put through accurate passes on the day. Oldham had come into the game having lost only two of their thirteen away games. Although in a lowly league position they had gained draws at Coventry, Gillingham and Walsall among others. Perhaps the Wigan players were complacent, underrating the opposition. Or maybe it was just an off day. But did Caldwell get his tactics wrong? With hindsight, what kind of lineup might have produced a more conducive end-product? The injury to Wigan’s main creative player, Michael Jacobs, in the 1-1 draw at Crewe on January 23rd was indeed a major blow for Caldwell. Jacobs went off after 30 minutes to be replaced by Haris Vuckic. The Slovenian had shown himself to be the kind of player who can help provide a link between holding midfield and the forwards in the previous games, at home to Sheffield United and Chesterfield, Latics scoring three goals in each. However, Vuckic did not go on to finish the match at Crewe, Caldwell hauling him off after 74 minutes. Vuckic was to return to the starting lineup in the 3-0 drubbing of Port Vale, but was withdrawn after 62 minutes. In fact the longest time the Slovenian has stayed on the pitch in his three league starts was 70 minutes against Chesterfield. Caldwell and his recruitment team did a fine job over the January transfer window. Indeed the signing of Ryan Colclough from Crewe meant that Latics had another creative player of the ilk of Jacobs at their disposal. Surely Colclough and Vuckic could fill the gaps were Jacobs not to be available? However, up to this point that has not been the case. Caldwell’s last signing of the January window was that of Conor McAleny from Everton on loan. McAleny was thrust straight into the starting lineup at Sheffield United, ahead of both Colclough and Vuckic who were on the bench. Latics fans have learned to expect surprises from Caldwell and this was another. However, Caldwell’s choice was vindicated with the Everton player scoring an opportunist goal and showing pace and industry. However, on Saturday McAleny could not impose himself upon the game. He is a different type of player to Colclough and Vuckic and could play an important role especially in away games when he can use his pace in counterattack. However, the Oldham game was crying out for creativity in midfield. Sam Morsy was brought on at half time, allowing David Perkins and Max Power to push forward, but it was not enough. Colclough was eventually brought on after 76 minutes, being pushed to the wide right. 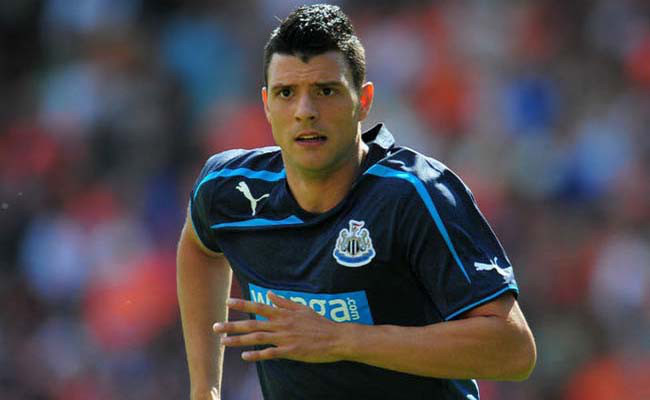 Vuckic will surely be disappointed not to have figured in the last two games after putting in creditable performances. He scored in his first league start of the season against Chesterfield and added an extra dimension to Latics’ play through his cultured left foot. The main criticism has been that he has been reluctant to fire the trigger when in good shooting positions. On Saturday Latics started with McAleny and Yanic Wildschut playing wide, despite their 3-4-3 formation with wing backs. But the need for a “number 10” was clear to see. None materialized. Haris Vuckic has had a frustrating time at Wigan, having been troubled by injury and so often being left on the bench. He has still not completed 90 minutes in a game. It had appeared that finally Caldwell was going to give him the extended run in the team that would enable him to reach peak fitness and match sharpness. But he has instead found himself back on the bench. Too many players were poorly handled at the club by managers prior to Caldwell. So many left Latics without reaching their true potential. It is to be hoped that Caldwell will do a better job in this respect than either Rosler or Mackay.